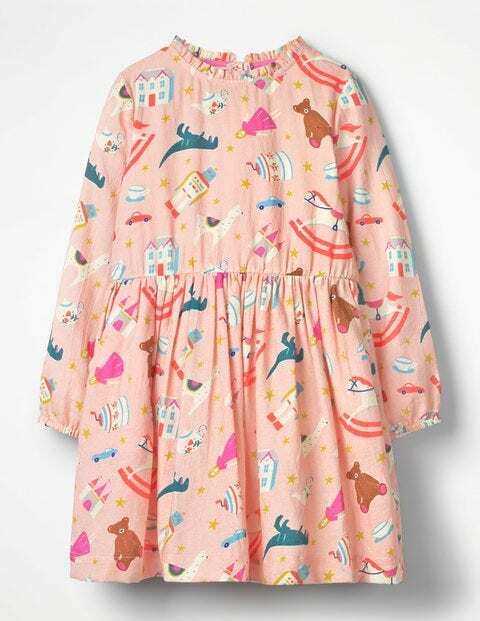 Special tea parties need special dresses, and this one definitely fits the bill with a fun, vibrant print. It has a full skirt that's gathered at the waist, and ruffles around the neck add a nostalgic finishing touch. The full lining ensure it's comfortable, while the zip-up back makes it easy to slip off once all the biscuits are finished (boo).